Firangi earned ₹ 0.05 Cr between day 15-21, Now Total Collection ₹ 10.2 Cr ! 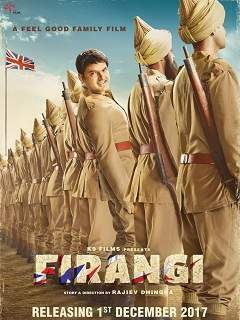 Firangi earned ₹ 0.28 Cr between day 11-14, Now Total Collection ₹ 10.15 Cr ! Firangi earned ₹ 0.15 Cr on its 10th Day, Now Total Collection ₹ 9.87 Cr ! Firangi earned ₹ 0.12 Cr on its 9th Day, Now Total Collection ₹ 9.72 Cr ! Firangi earned ₹ 0.10 Cr on its 8th Day, Now Total Collection ₹ 9.6 Cr ! Firangi earned ₹ 0.55 Cr on its 7th Day, Now Total Collection ₹ 9.5 Cr ! Firangi earned ₹ 0.65 Cr on its 6th Day, Now Total Collection ₹ 8.95 Cr ! Firangi earned ₹ 0.8 Cr on its 5th Day, Now Total Collection ₹ 8.3 Cr ! Firangi earned ₹ 0.9 Cr on its 4th Day, Now Total Collection ₹ 7.5 Cr ! Firangi earned ₹ 2.4 Cr on its 3rd Day, Now Total Collection ₹ 6.6 Cr ! Firangi earned ₹ 2.10 Cr on its 2nd Day, Now Total Collection ₹ 4.2 Cr ! Firangi earned ₹ 2.10 Cr on its 1st Day, Now Total Collection ₹ 2.1 Cr !